People all around the world are looking to gain skills that will assist them get ahead in a competitive global environment. The Australian education sector is the first choice for many international students, as Australia has one of the most sought after education systems in the world. There are many thousands of international students from over 200 countries studying in Australia each year. 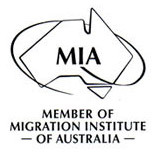 However, there are complexities and costs involved with applying for courses in Australia, and with meeting the migration requirements. The Australian Government will assess your student visa application to see if you meet the requirements of a “Genuine Temporary Entrant”. It is worthwhile having professional assistance in preparation of your student visa, and we can guide through this process. Student visa holders must meet ‘contractual’ obligations with the Department of Home Affairs while studying in Australia and it is important that you know where you stand from the start so that you can take advantage of employment or other opportunities once you have completed your studies. Student visas are a stepping stone to other visa opportunities, and many internationial students move on to make successful permanent residency applications following completion of their studies. We assist many international students make the move to employer sponsored visa applications, or skilled independent visa applications when they have graduated - or with a partner visa if they form a relationship with an Australian Citizen or Australian permanent resident. Had enough of listening to conflicting stories about migration from well-meaning friends and workmates? Sick of waiting on the phone for the Call Centre to answer? Tired of worrying about making a mistake? Get advice from people who have been dealing with complex migration law cases since 2003.